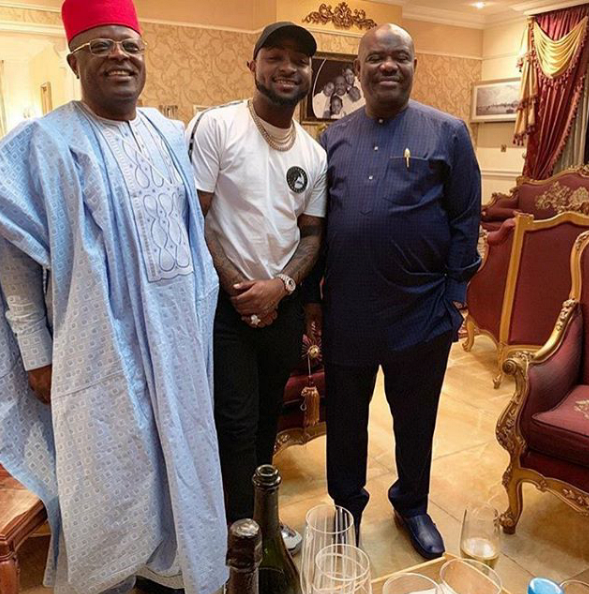 IS DAVIDO GOING INTO POLITICS SOON? The Nigerian music star Davido who has been known his great music has of recent been feeling cozy in the political environment. The first appearance was when he was campaigning for his uncle, Isiaka Ademola Adeleke, then he was pictured with the contesting 2019 presidential candidate, Atiku Abubakar. Today, he can be seen in the midst of two governors, the governor of Rivers State, Ezenwo Nyesom Wike and the governor of Ebonyi State, David Nweze Umahi. we are still watching him from the other side.